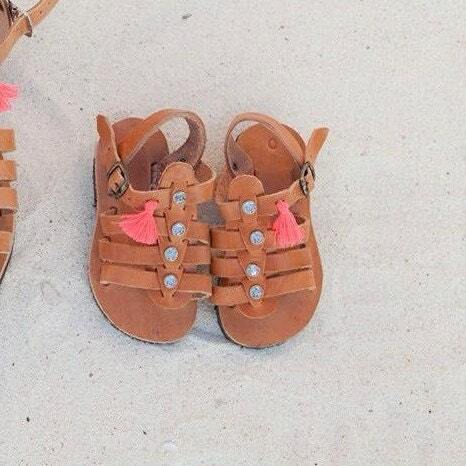 These sandals are handmade from 100% natural leather . They are lightweight with anti- slippery rubber sole. Allow 4-5 days to process your order before shipping. we can handle custom orders and designs, as also wholesale orders ,please contact with us for information . every rair of sandals get darker as time goes by as also is getting the shape of your foot since it s genuine natural leather. 1. 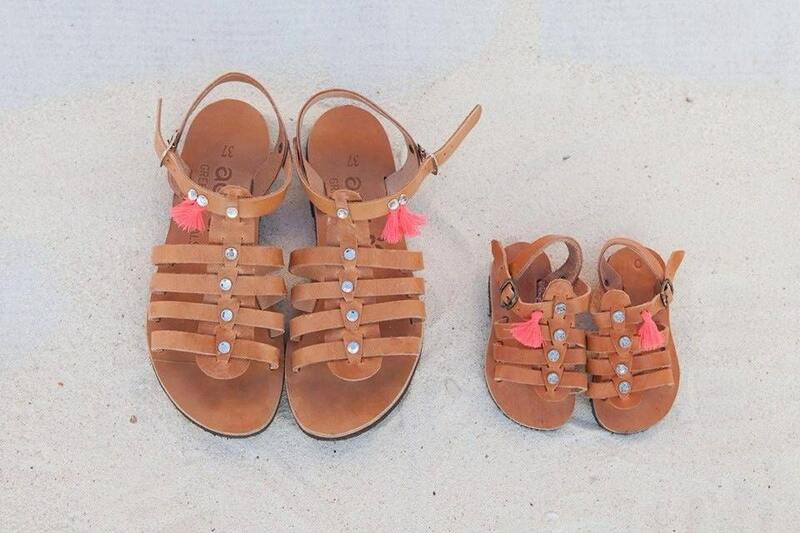 Measure length of the feet at the end of the day when your child’s feet are at their largest. 2. Measure the foot length from big toe to the center of heel . 3.It is best to measure your child’s foot while they are standing upright. If your are just between two sizes, we suggest you to choose the bigger one. EU 21: 13.5cm / US 6: 5.32"
EU 22: 14cm / US 7: 5.51"
EU 23: 14.8cm / US 7.5-8: 5.83"
EU 24: 15cm / US 8.5: 5.91"
EU 25: 15.6cm / US 9: 6.14"
EU 26: 16.3cm / US 9.5-10: 6.42"
EU 27: 16.9cm / US 10.5: 6.65"
EU 28: 17.7cm / US 11: 6.89"
EU 29: 18cm / US 11.5: 7.08"
EU 30: 18.7cm / US 12-12.5: 7.40"
EU 32: 20cm / US 1.5: 7.87"
EU 33: 20.5cm / US 2: 8.07"
EU 34: 21cm / US 2.5: 8.27"
in case you need any help please contact us and we will confirm the size of you . Thanks for visiting our shop.